WILL HELP YOU KEEP YOU COOL ON THE JOB OR AT AN EVENT. USING THESE NECK COOLING WRAPS WILL KEEP YOU REFRESHED AND MORE ALERT.this coolneckwear keeps you cool with evaporative cooling that happens as your skin and coolneckwear cooling product begin contact allowing cold moisture to release onto your skin that's helping you be cooler and more comfortable repetitively while using throughout the day or evening making a more pleasant day vs being to hot with perspiration and very uncomfortable when YOUR outdoors for extended periods. this cooling product can be used anytime or anyplace and can even be used without any ice or refrigeration. this is a neck skin cooling item IS A GREAT PRODUCT for any type of outdoor function or event during the spring or summer months when the outside weather temperatures can get very uncomfortable for kids, teenagers, adults, seniors, workers and your pets during the seasonal weather seasons especially when the record breaking weather temperatures happen on more frequent occurrences throughout the SPRING AND SUMMER WEATHER seasonS. 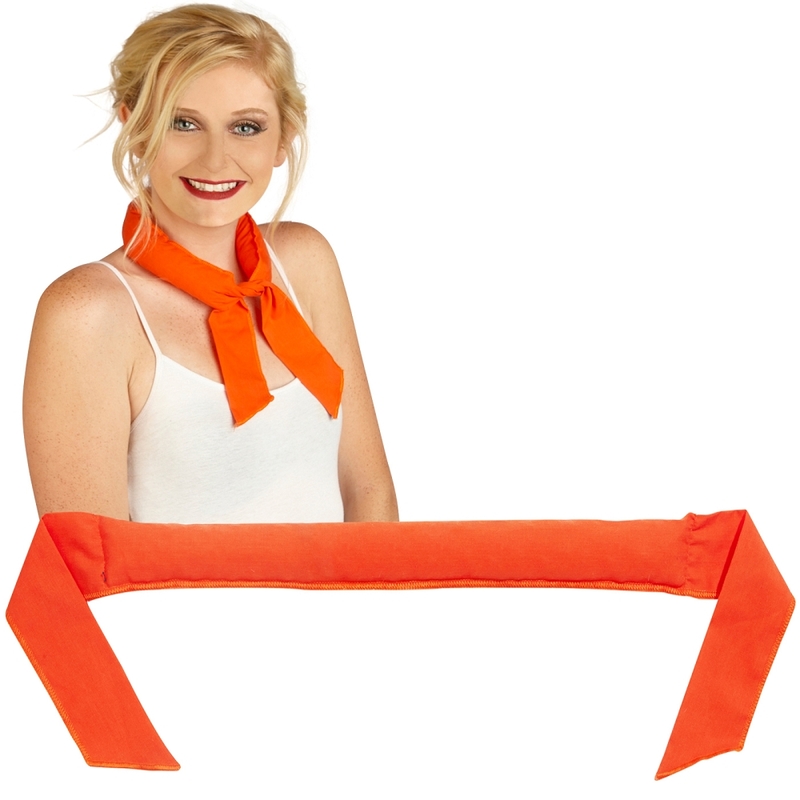 these COOLNECKWEAR COOLING PRODUCTS ARE REUSABLE AND CAN BE AFTER THIS CHILL FACTOR PERFORMANCE COOLING PRODUCT IS ACTIVATED. OUR NECK COOLERS WILL ALWAYS BE 20F/5C COOLER THEN THE OUTSIDE AIR TEMPERATURE BEFORE ICE OR REFRIGERATION. 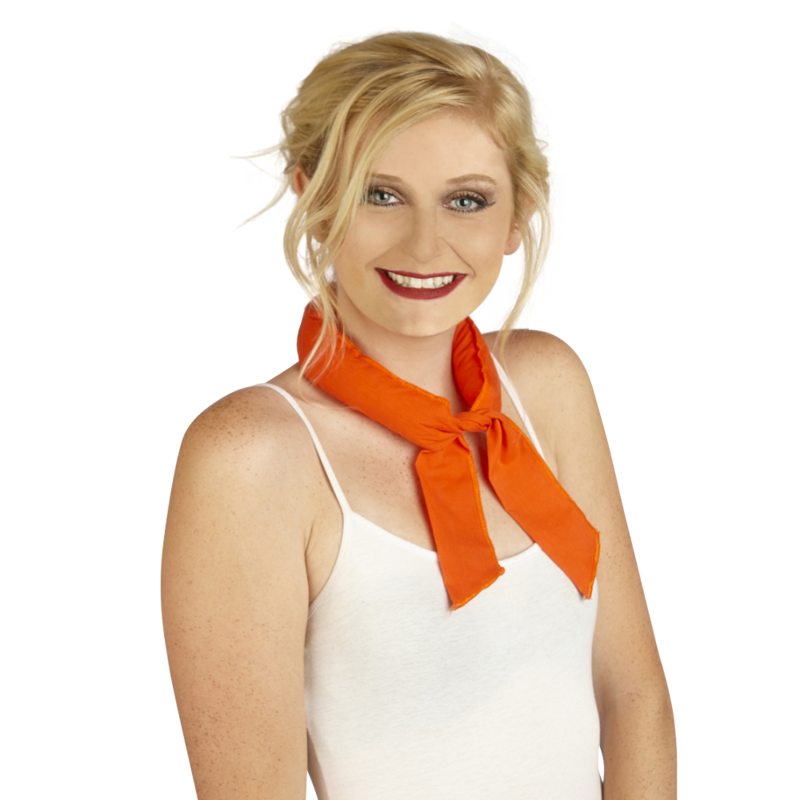 THIS COOLNECKWEAR COOLING PRODUCT IS ON orange COTTON MIX MATERIAL SO IT COOLS YOU LONGER THEN POLYESTER OVERSEAS KNOCK OFFS AND COOLING TOWELS MADE FROM WOVEN MICROFIBER MATERIALS THAT CAN'T GET AS COLD AS THE WATER THAT'S ABSORBED INSIDE THIS CHILL FACTOR PERFORMANCE PRODUCT. INSIDE IS A BIODEGRADABLE SUPER ABSORBENT WATER POLYMER THAT'S NON-TOXIC THAT HELPS HOLDS TEMPERATURES FOR EXTENDED PERIODS THAT'S EASY TO USE AND CAN BE USED DAILY.